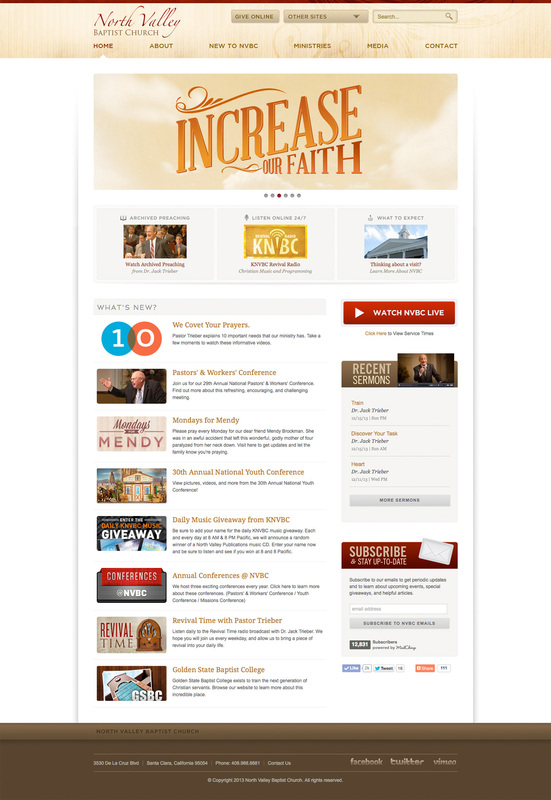 As part of my job as a web designer for the great North Valley Baptist Church in Santa Clara, California, I was asked to completely redesign their main website. Many new features were added including an easier to view calendar of events, a much improved archived services section which is one of the most visited pages on the site, and an easier way to get to other websites owned by North Valley. The new site was a success. We have since received many emails complementing us on the design and how easy it is to use the new website.